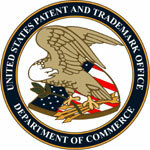 On September 25, 2017, the USPTO hosted a public meeting to report on the comments to the TTAB's Request for Comments on possible streamlined version of cancellation proceedings on the grounds of abandonment and non-use (transcript here), for which the comment period closed on August 14, 2017. Additionally, the TTAB took the opportunity to update the public on developments with regard to the amended Trademark Rules, effective January 14, 2017. The meeting agenda included a summary report on received comments and involved discussion of topics of interest to the audience and those that appeared necessary to address in view of the comments.